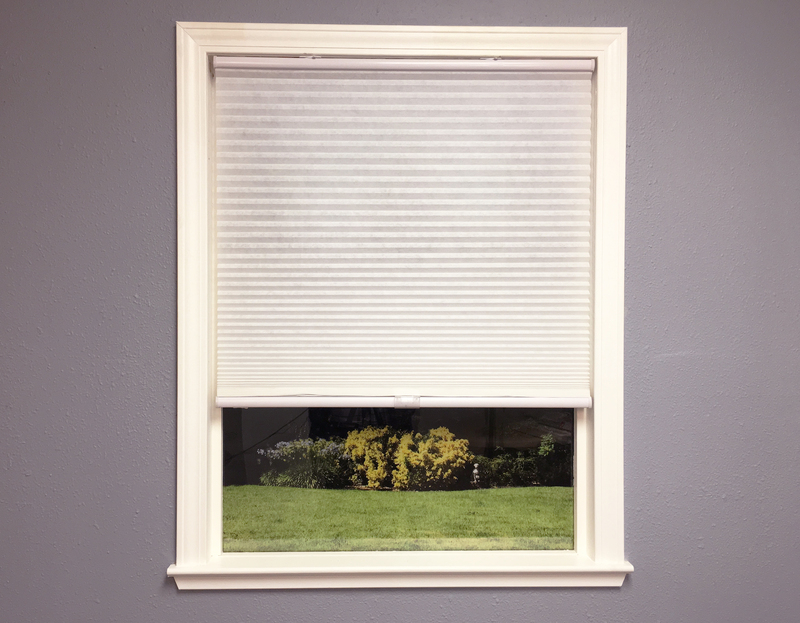 Trim Easy Elegance Cellular shades at home for the right fit, then install in a snap with our simplified mounting brackets. They feature cordless adjustment making them safe for children and pets. 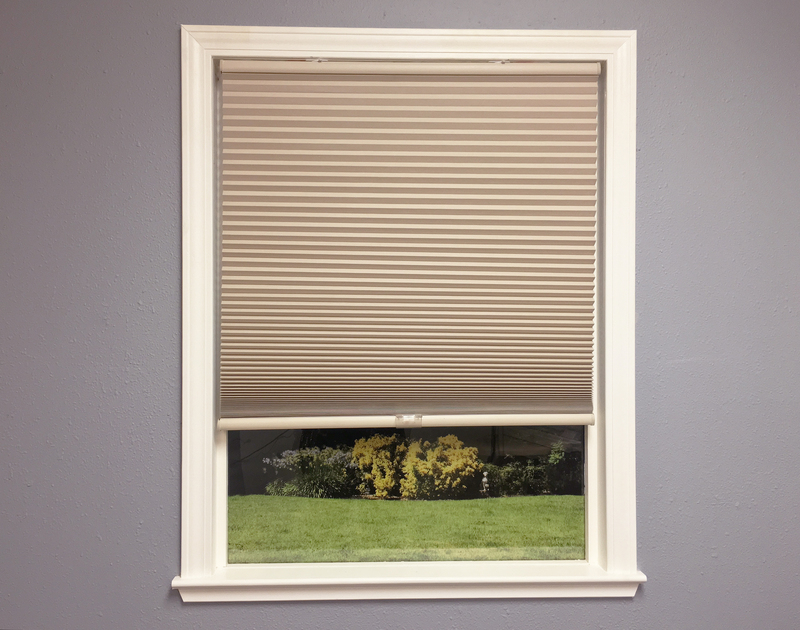 These blackout shades are made of a honeycomb cellular non-woven polyester that blocks 99% of sunlight with a heat reflective layer. They are available in White and Natural. Required Mount Depth: Minimum – 1 1/2"; Flush – 2", inside or outside mount. 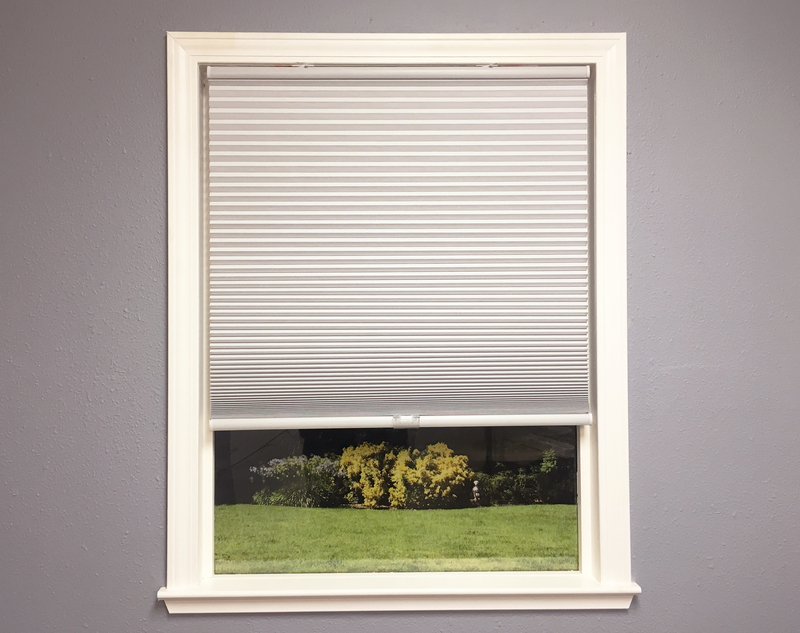 Trim Easy Elegance Cellular shades at home for the right fit, then install in a snap with our simplified mounting brackets. They feature cordless adjustment making them safe for children and pets. 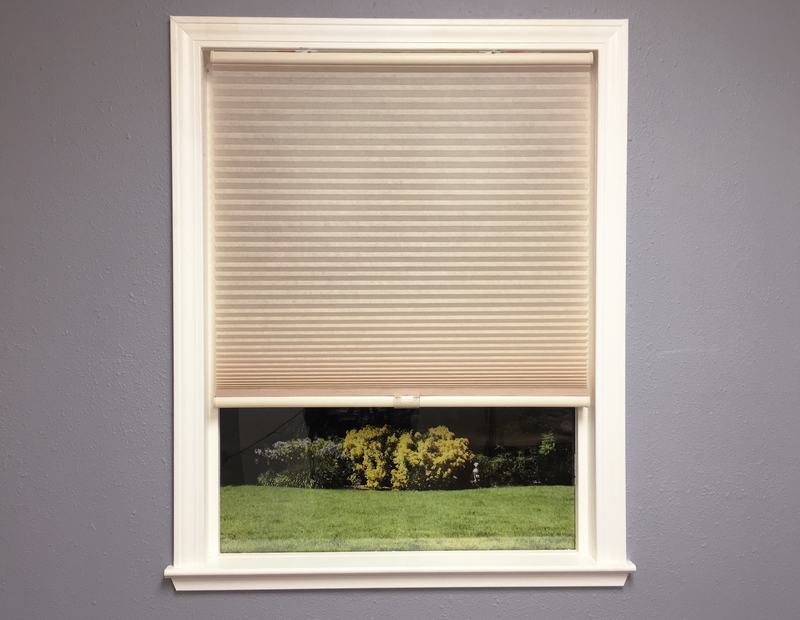 These light filtering shades are made of a honeycomb cellular non-woven polyester and are available in White and Natural. Required Mount Depth: Minimum – 1 1/2"; Flush – 2", inside or outside mount.